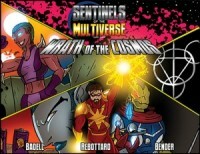 The Cosmos are leaving their mark on the Multiverse! 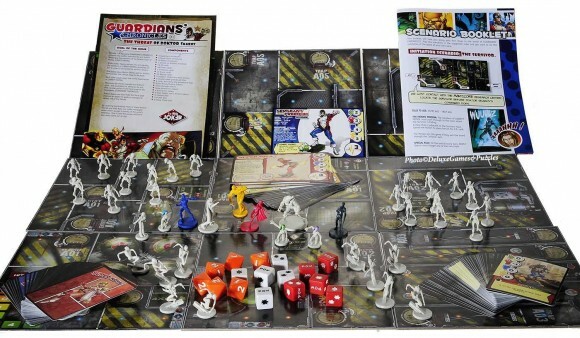 Do you have what it takes to save the earth from the impending annihilation? 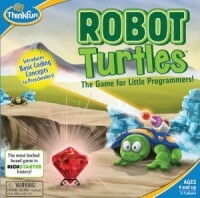 Robot Turtles (Second Edition) is a board game for kids ages 3-8. Kids won’t know it, but while they’re playing, they’re learning the fundamentals of programming. One player assumes the role of the Super Villain Pr. Skarov, while the rest of the players assume the role of Superheroes, each with unique Superpowers. Depending on the scenario, the players must achieve a certain number of objectives to attain victory, while the evil Pr. Skarov attempts to thwart their efforts. 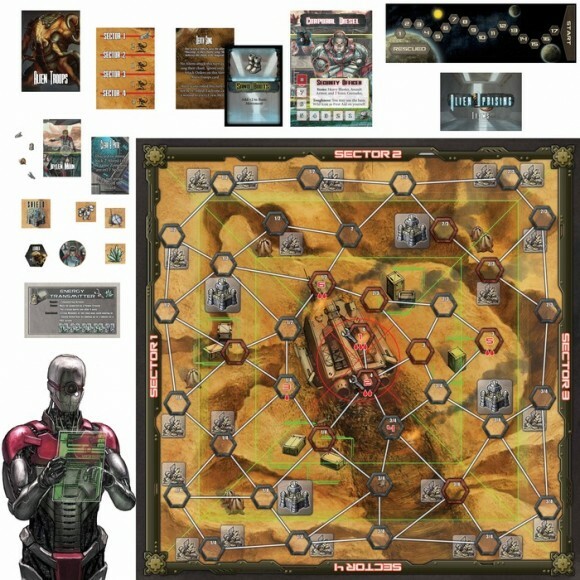 A cooperative game for 1-5 players. You control 3-5 Crewmen of a crashed starship through a desperate battle with the enraged Zothren Captain Jake Comet and the crew of The “Pioneer” need your help! They have crash landed on a planet inhabited by the hostile Zothrens, and must work together to repair the ship or stay alive until the rescue ship arrives. The odds are against them, and time is running out. 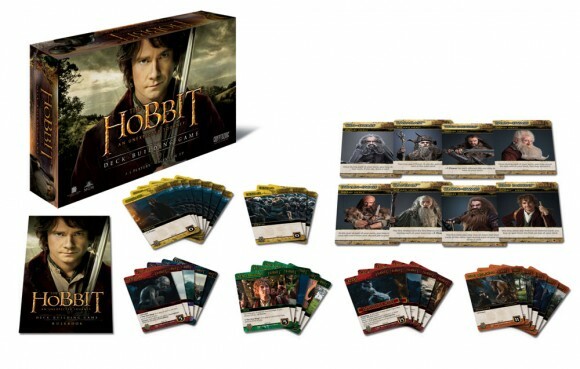 In The Hobbit: An Unexpected Journey Deck-building Game, each player takes on the role of a member of The Company as they set out on the long and treacherous path to Lonely Mountain. Play as Bilbo Baggins, Gandalf the Grey, Thorin Oakenshield, or others. Your Hero card will guide your strategy throughout the game, or you can break away with a plan of your own. is a worker placement game in which you take actions to improve the standing and/or wealth of your family. You will expand your family, creating an ever-growing tableau, the family tree. 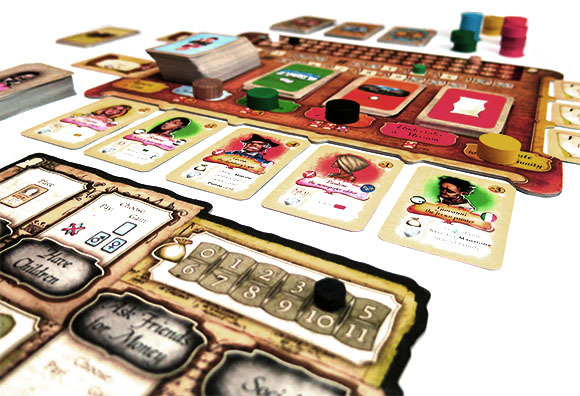 You will need to balance the three ‘currencies’ in the game, Prestige (converts to Honor points at the end of each generation, of which there are three), Income (your income which converts to hard cash at the end of each round, of which there are 9), and Friend cards (which are actual connections/friends, and are the only way to marry into wealthy/famous families, and can only be received through actions, such as marrying a woman who brings some of her social contacts with her). Prestige, Income and Friend cards can be gained and lost. You can, for example, lose some prestige by marrying someone infamous or lose some Honor points (i.e. reputation) by asking friends for money. There are also numerous actions you can take that will affect one of the three ‘currencies’ detrimentally, such as bribing someone to get a title (for which you need to pay, but also in the loss of friends who felt they deserved that title, and not you), or the maintenance of a beautiful new park you have built for the people (losing you income). Finally, you can also take actions that result in the loss of some of your social contacts (friends), due to jealousy, or people simply no longer wanting to be associated with you.